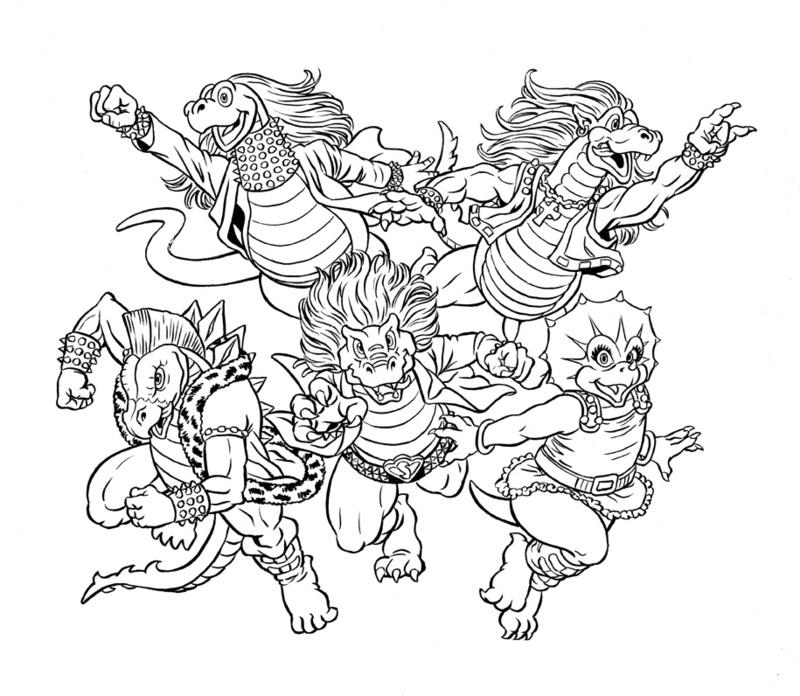 There might be some of you out there that aren’t aware of the little fact that I am the visual creator behind the ultra-successful Sony Music children’s heavy metal act, HeviSaurus. A few years ago, I was approached by the band’s founding father Mirka Rantanen to conjure up characters that would capture the imagination of kids from north to south and east to west. I have to especially thank my artist friend and contemporary Toxic Angel, who tipped off Mirka about my artistic prowess in the comic sense of the said talent, and it was through Toxic that I landed the HeviSaurus gig. 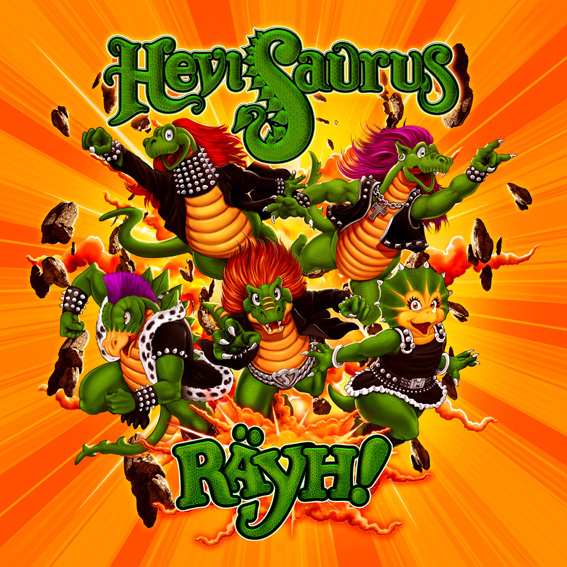 Toxic Angel is also the guy behind the coloring and finishes of the underlying art that I create for the band, as seen below on the cover of the latest HeviSaurus album Räyh!, which is a real beauty all the way around. I just stopped by the Sony Music offices this morning in Espoo, Finland, here I got a gander at the new HeviSaurus plush toys and action figures. Who would have ever thought that my drawings would spawn a whole line of merchandise that are selling like wildfire?! Well, I have to say that I am one proud papa, seeing how well my character creations have been received. Are the plushies available for sale anywhere that ships to Canada?